Feeling tired and need some relaxation? 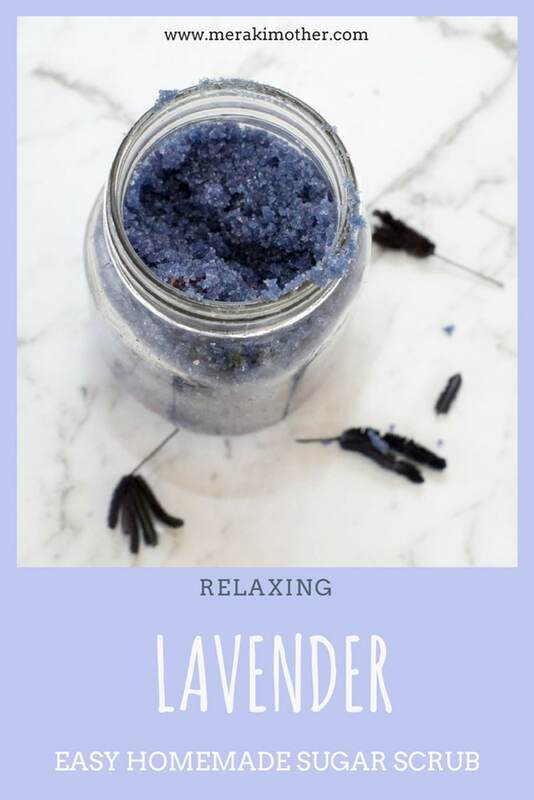 Try our easy DIY beauty treatment, relaxing Lavender Sugar Scrub. It is made of all natural ingredients which are great for your health and well-being. Be sure to make more than one batch as this makes an easy homemade mason jar gift that everyone will love. Follow our easy steps on how to make this homemade body scrub here. 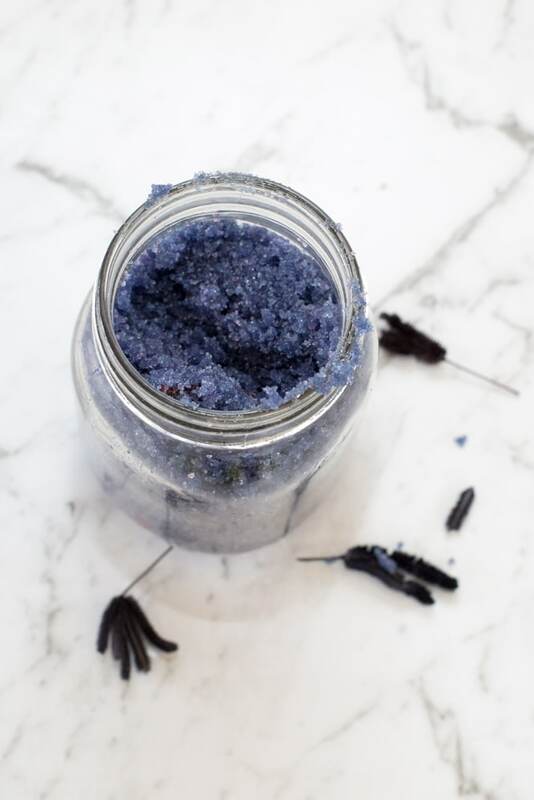 As you massage your body with this scrub, the exfoliating sugar granules help to eliminate dead skin, and the rubbing action boosts circulation and helping the blood flow to the skin’s surface. That action will be enhanced by the lavender too. After this deep cleansing in the shower, your post-wash moisturizer will better hydrate your skin. 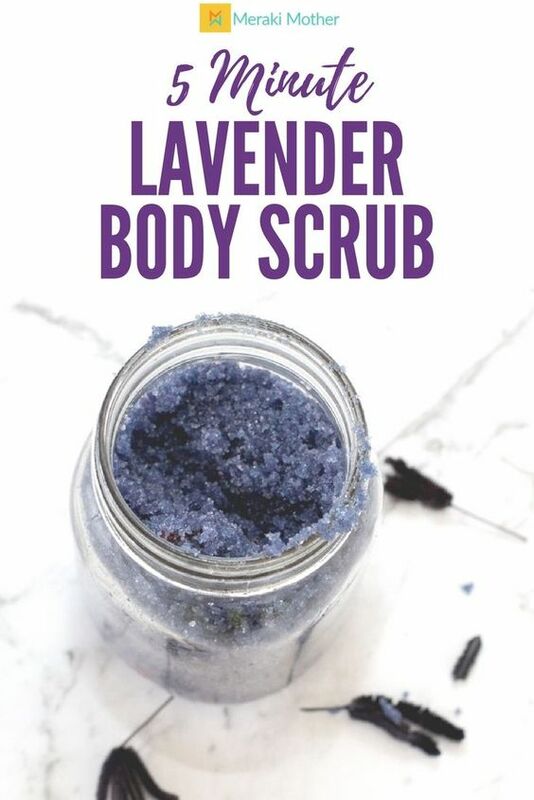 This beautifully scented body, face or hand scrub not only has natural calming effects but lavender is also wonderful for blood circulation, anti-aging and, muscle aches. Oh and don’t forget that this is the perfect homemade body scrub for dry skin. 2 cups of Sugar. If you decide to color your scrub we suggest a lighter colored sugar. Purple Food Coloring if you want to make your scrub extra pretty. 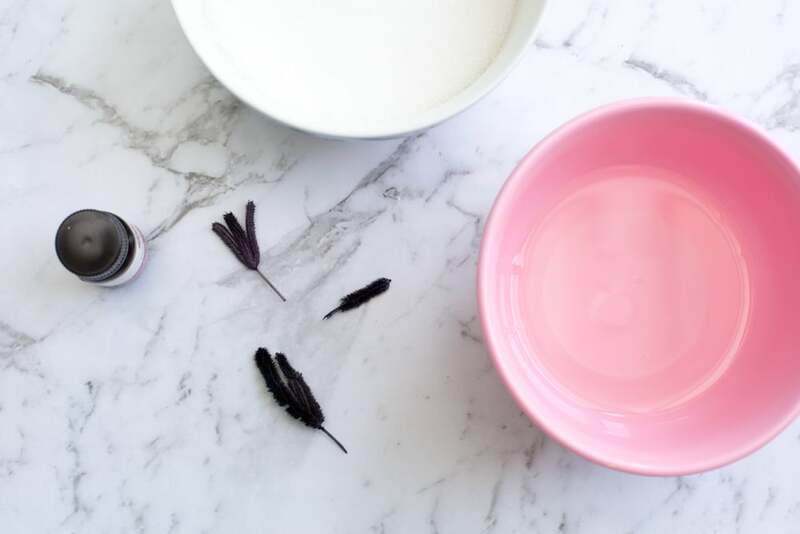 Dried lavender flowers or lavender buds in this mixture will make it smell amazing and add extra calming effects as well as making it look beautiful. Mix some of the sugar and all of the oil in a large bowl. 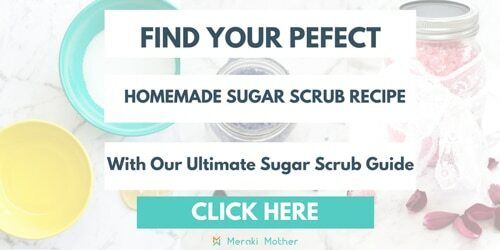 For the best homemade body scrub, we used fine white sugar as it is gentle on all skin types and can be dyed which makes it look super pretty for a homemade gift. If you want a stronger exfoliation, use raw sugar. This however will not dye as well. Next, add the lavender essential oil while stirring the mixture. 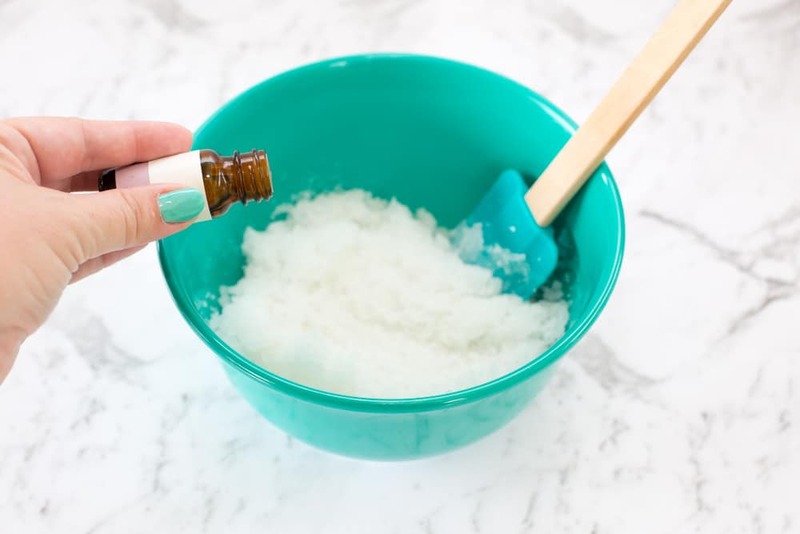 For our sugar scrub recipe, we found about 10 drops but this will vary, depending on the quality of oil you use, the type of oil and how strong you like the scent. If you wish to color your sugar scrub add the food coloring now too. You will only need a couple of drops. We also added some dried lavender for an added treat. Put your sugar scrub into a container. We love to put ours in mason jars to give as gifts with a ribbon or print out one of our cute gift tags.